Radiographs are used to look at bones and soft tissues. Our veterinarians are trained to take and interpret radiographic images we take of your pet. Whether we are looking for heart problems, bladder stones, eaten corn cobs, or broken bones or a variety of tumours, radiographs form a key part of our diagnostic tool kit. We have state of the art digital X-ray equipment, which allows us to collect instant quality images. These are stored on your patient’s file forever, for permanent reference should this be required. Additionally, we have a dedicated separate, digital dental X – ray unit. We also have access to specialist radiologists who can provide expert second opinions for more complex issues and more subtle changes on images taken at the practice. We can drop box images and have further opinions in a timely manner. 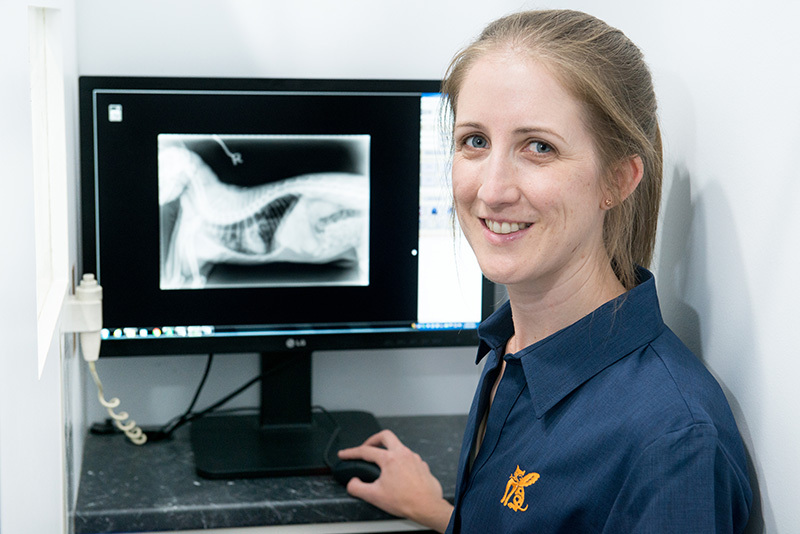 Please call the practice on 08 8362 6688 to discuss whether your pet may require an X-Ray.